New Delhi, April 12 (IANS) After their controversial AIB Roast video in January, standup comedy group All India Bakchod (AIB) has come up with a new video asking people to “save the internet”. And Bollywood celebrities, including Shah Rukh Khan, have lent support to the initiative. “The new AIB video is out. This time, we want you to ?#?SaveTheInternet?. Share this video and spread the message to everyone you know who uses the Internet. 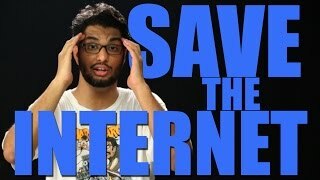 Please, log onto www.savetheinternet.in,” read a post shared by AIB on their official Facebook page. The video shows AIB lending support to net neutrality. Net neutrality is an “idea that internet service providers give their customers equal access to all lawful websites and services on the internet, without giving priority to any website over another”, reads netneutrality.in. Due to intense lobbying by telecom operators like Airtel and Vodafone, Telecom Regulatory Authority of India (TRAI) is planning to allow them to block apps and websites to extort more money from consumers and businesses – an extreme violation of net neutrality. TRAI has released a consultation paper with 20 questions spread across 118 pages and wants people to send them an e-mail by April 24. In the video, AIB stated that “all content is equal, and all sites must be equally accessible”. The video, which was posted on Saturday, has received more than four lakh views till now. Sidharth Malhotra: #SaveTheInternet push for net neutrality, Internet is a utility not a luxury. Anubhav Sinha: Bad news about #SaveTheInternet is that a lot of you still think its not about you. IT IS!!! LISTEN UP!! !